CLOSEOUTS. 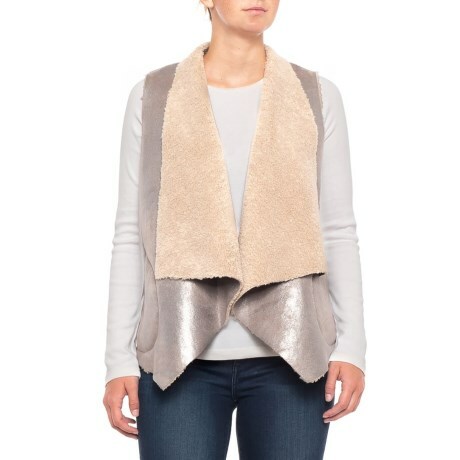 French Connectionand#39;s Arleen shearling vest has a supersoft, cozy construction throughout, from its high-pile shearling lining and lapels to the distressed faux-suede shell. Available Colors: SILVER/MINK. Sizes: 0, 2, 4, 6, 8, 10, 12.